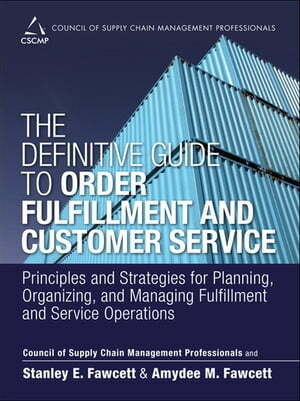 Collins Booksellers - The Definitive Guide to Order Fulfillment and Customer Service by CSCMP, Stanley E. Fawcett & Amydee M. Fawcett, 9780133453874. Buy this book online. This is the most authoritative and complete guide to planning, implementing, measuring, and optimizing world-class supply chain order fulfillment and customer service processes. Straight from the Council of Supply Chain Management Professionals (CSCMP), it brings together up-to-the-minute knowledge and best practices for all facets of order fulfillment and customer service process management, from initial customer inquiry through post sales service and support. CSCMP and contributor Stanley Fawcett introduce crucial concepts ranging from customer order cycles to available-to-promise and supply chain RFID to global order capture networks. For all supply chain and operations managers, students, and other business professionals and decision-makers who are concerned with order fulfillment or customer service.